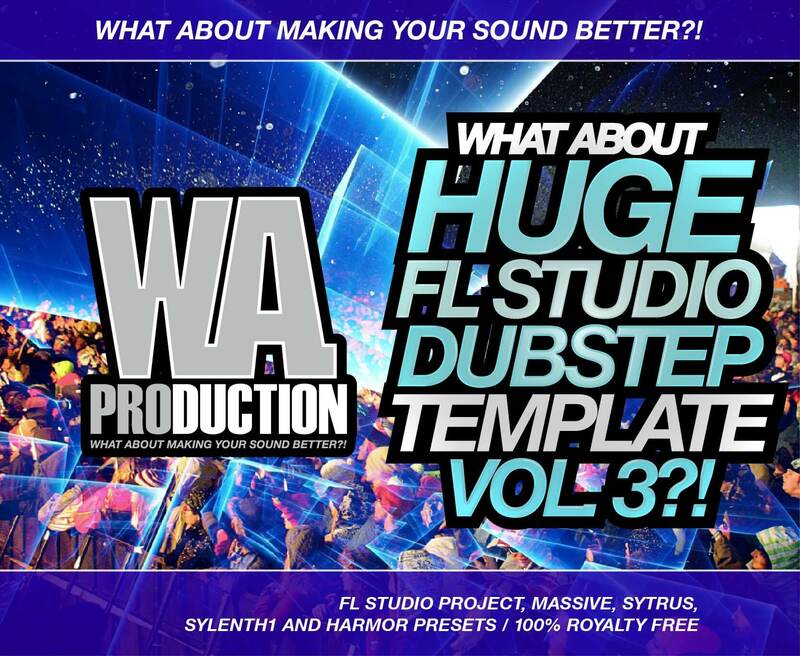 ‘What About: Huge FL Studio Dubstep Template 3’ is the third in a new majestic Dubstep FL Studio project series made by W. A. Production. In this part you will find epic Skrillex type of voice Vocodex effects as well as fat modulated Sytrus bass in drops. Also a lot of stunning Harmor, Massive and Sylenth1 presets. All of this is mixed with exclusive drums, vocals and FX samples, made for all serious FL studio users. ‘What About: Huge FL Studio Dubstep Template 3’ contains 5 Harmor, 4 Massive, 4 Sylenth1 presets together with 1 fantastic and very powerful Sytrus preset. W. A. Production also used a lot of new techniques, like pitch modulation, reverb envelopes on drop synths, and many more to make the sound of this product as fat and heavy as possible. W. A. Production employed a wide array of production techniques and effects in the making of this pack and it’s all here for you to examine and tweak in this awesome FL Studio template. W. A. Production used Izotope Ozone5 on the master channel. If you do not own this plugin, it doesn’t matter – they also put a Fruity Limiter on the master channel, all you have to do is to turn it on.